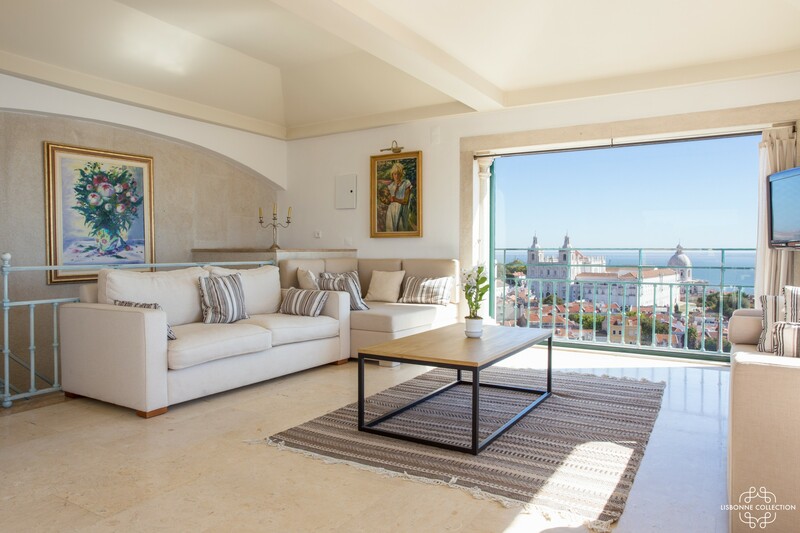 With its panoramic view over Lisbon, this exceptional apartment is located within the walls of the Castelo São Jorge. Penthouse comfort, noble materials and decoration particularly neat. 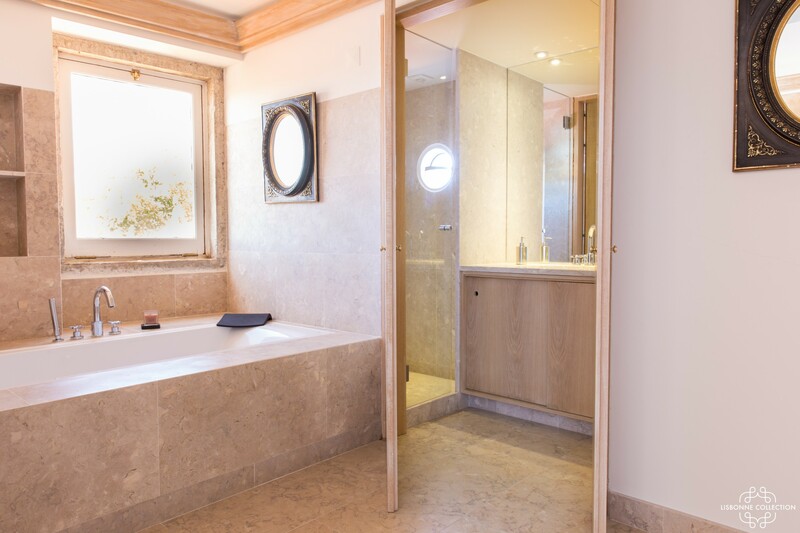 Two amazing suites welcome you on the first floor. 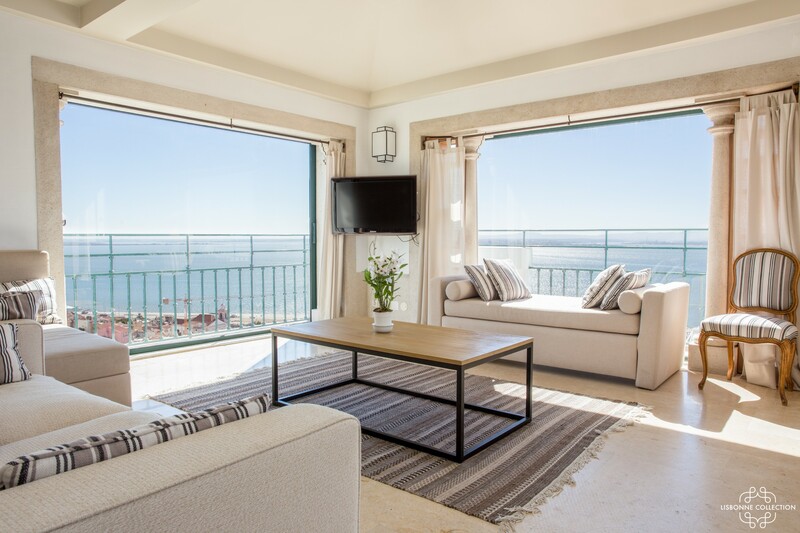 On the second floor, the vast living room with television and international channels, as well as the dining room, offer a breathtaking view of the Tagus. 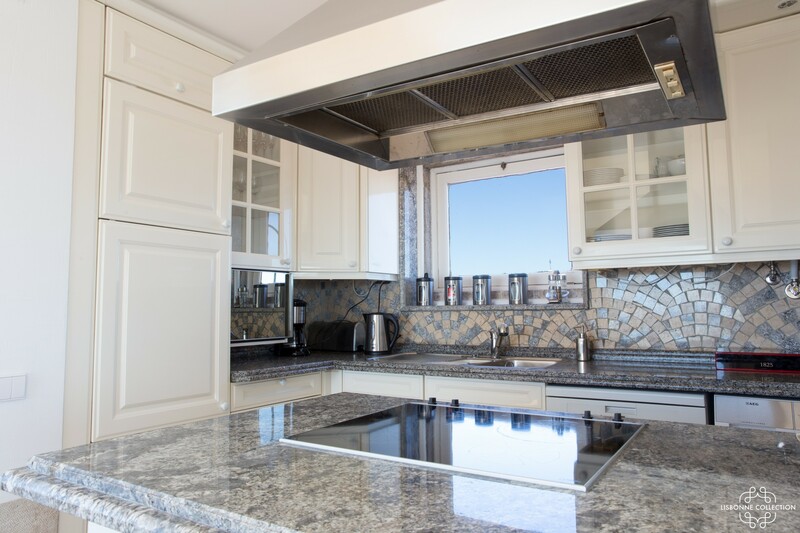 The open kitchen is fully equipped (induction hob, oven, microwave, washing machine, dryer, Nespresso machine ...). Air conditioning and wifi access are availables throughout the property. 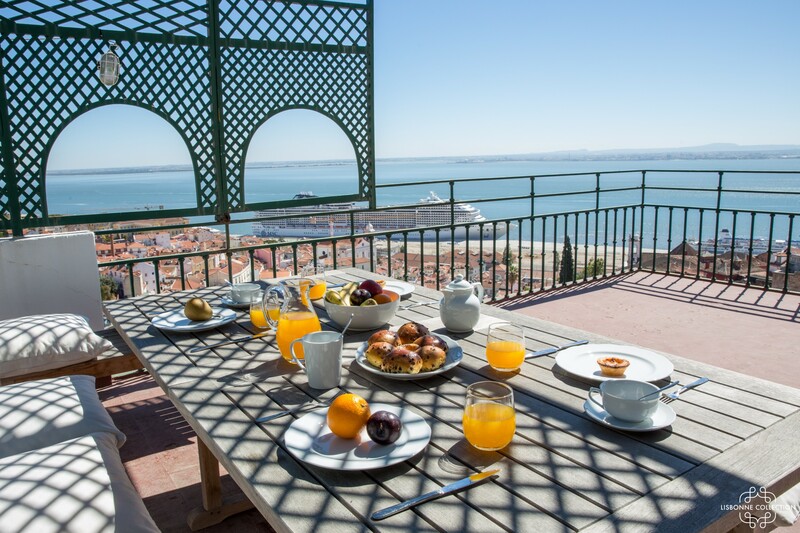 The property has two private terraces with views on the city of Lisbon and the Tagus river. 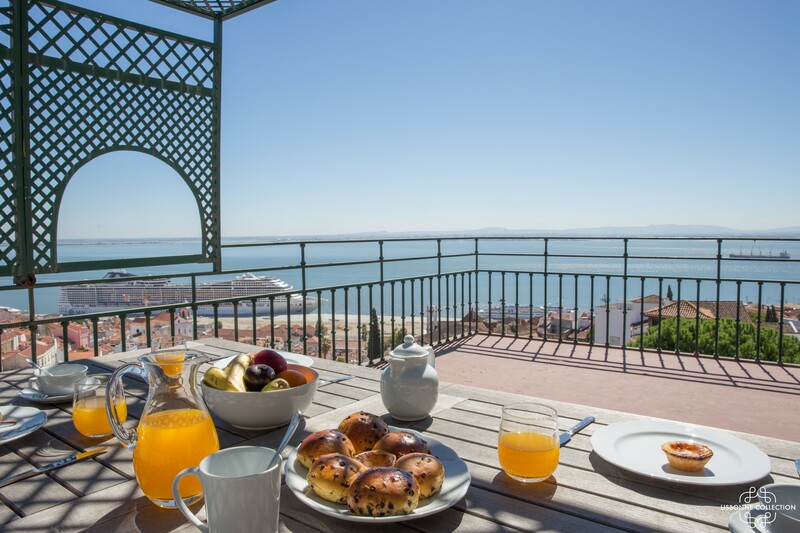 Located on the first floorl of the apartment, this large terrace has a large dining table, benches and two comfortable sunbeds to admire the view and enjoy the sun. Located on the second floor, you can access at this terrace directly from the living room. It has a table and chairs where you can having dinner in front of the sunset. Master suite with dressing room, bath and shower room. Air conditioning / heating. View of the Château Saint Georges. Double suite with two single beds, wardrobes, shower room and balcony. Air conditioning / heating. View of Alfama, Graça and the Tagus. 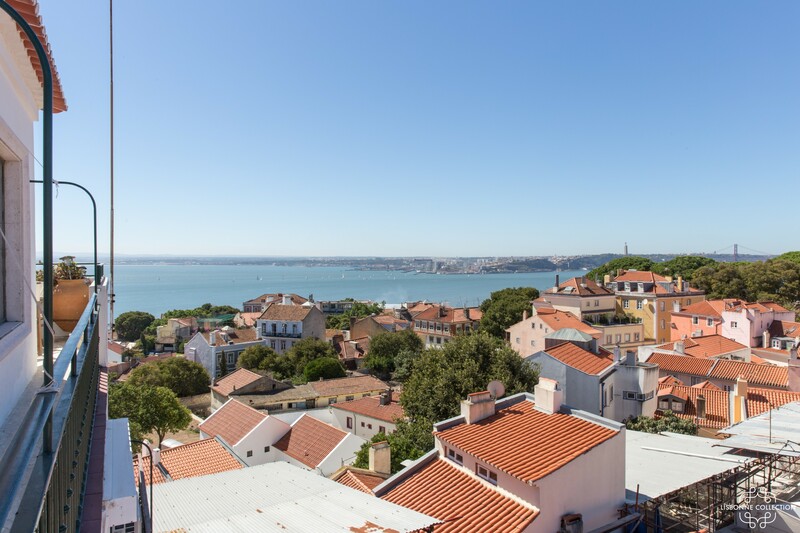 The panoramic view of the whole city of Lisbon and the Tagus. The location in the heart of Castelo São Jorge. The private elevator arriving directly to the first level of the apartment. Despite these changes, the Castelo São Jorge and its landscaped garden remain one of Lisbon's must-see places. 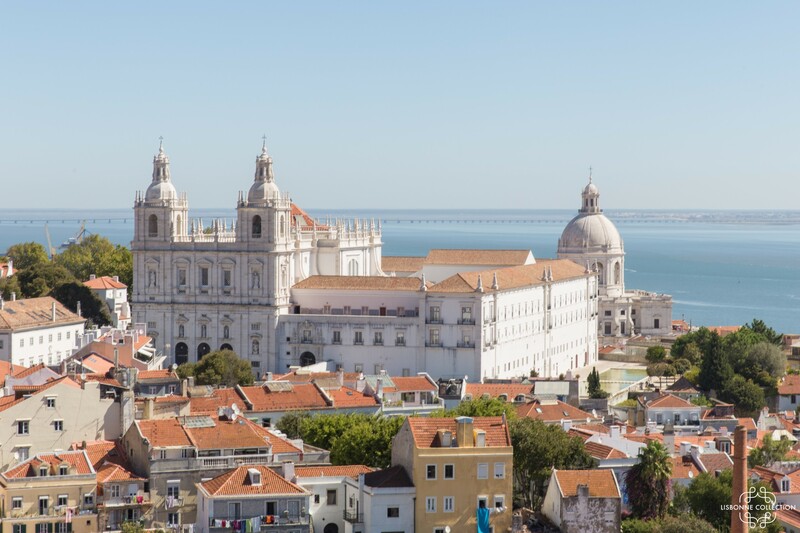 In addition to its architecture, the monument offers a panoramic view of the alleys of Alfama and, more broadly, the lower city (Baixa) and the Tagus. A powerful romanticism emerges stones, alcoves and terraces millennia, the walk on the ramparts is a privileged moment. 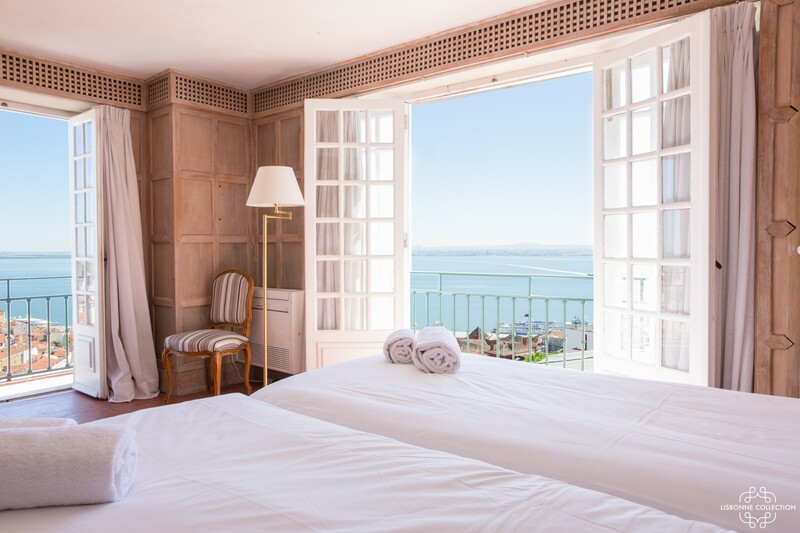 You will stay in Lisbon's lively, historic district during the day and calm in the evening. Do not hesitate to extend the walk to witness this changeover, when the flood of tourists returns to their neighborhoods and the inhabitants take possession of the sidewalks. You will find many restaurants, bars, cafes and all kinds of shops within 5 minutes of the accommodation. To park: you have a car park "Emel, Chão do Loureiro" Address: Calçada do Marquês de Tancos. Price: 20 € / day. 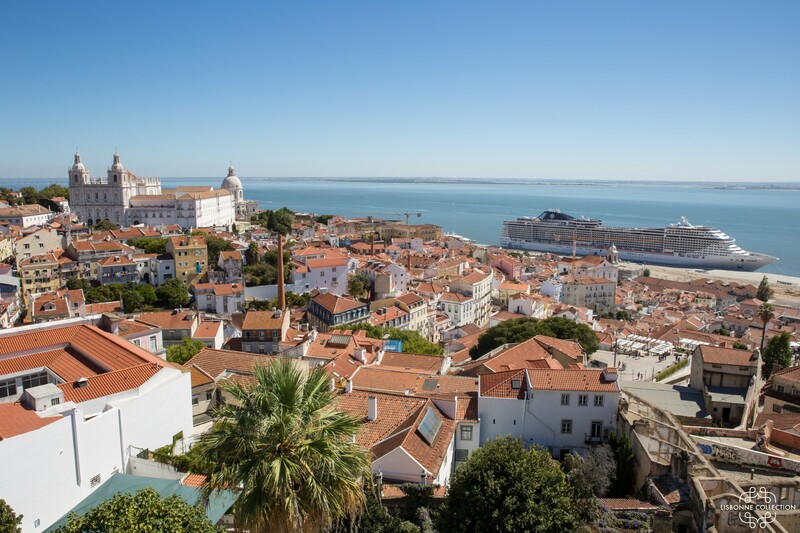 Transport: in the heart of Lisbon, you can discover the city on foot. You can take the Tram 28 on the square "Largo das Portas do Sol" which crosses all the tourist areas of the city. As the property is located in the heart of the Castle, you can access to it only by feet from the entrance of the ramparts. We advise you to use our transfer service (from 35 €) or a taxi that will drop you in front of this entrance. Warning ! The Uber / Taxify etc, can not enter in the enclosure of the Castle. To reach the apartment, you will then have to walk 3 to 5 min in the litlle streets of the Castle. Arrivals are from 4pm. It is possible to have the keys earlier depending on our availability. Please follow our arrival instructions on the premises so that our representative can find you in front of the accommodation. Arrivals after 22h have an additional cost of 40 € to pay on site in cash. 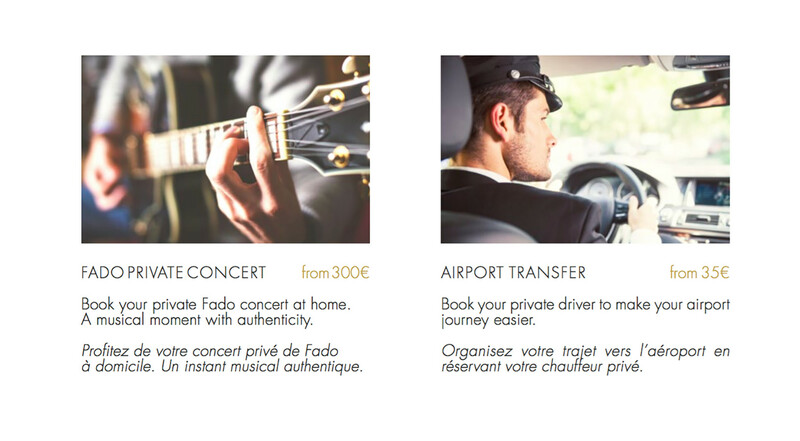 We offer airport / accommodation transfers for an additional fee. To book please contact us. 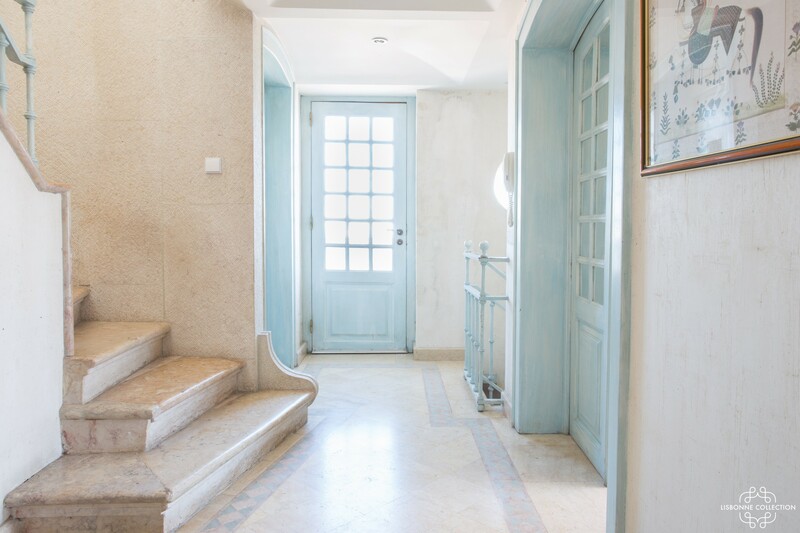 2 TVs, TV Satellite (Languages: English, French), 6rd floor, elevator, 215 ft² terrace, iron, internet (wifi), hair dryer, balcony, 2,153 ft² property, air conditioning (hot/cold), air conditioning throughout the house. 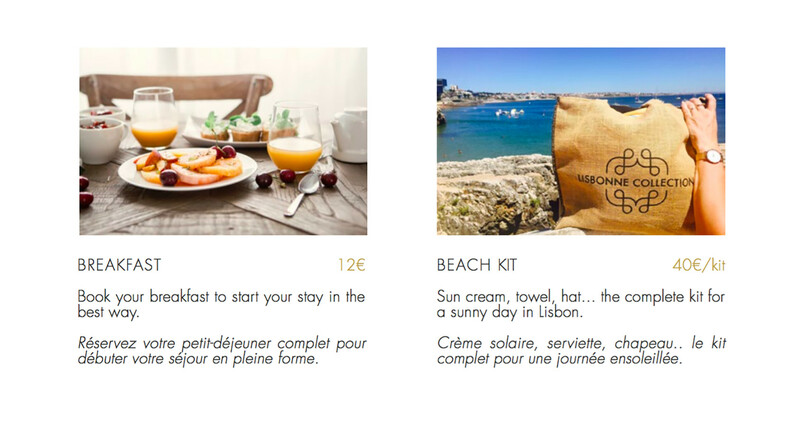 Amount: €600.00 /booking.Payment method: credit card hold.To be paid on site. These have been great four days we spend here. We will definitely come back some years later and revisit this beautiful city & beautiful mounds. This place is AMAZING. It is an incredible location, and the views of the city from the penthouse are like staying in your own private attraction. The staff acccomdated all of needs and could not have been nicer. 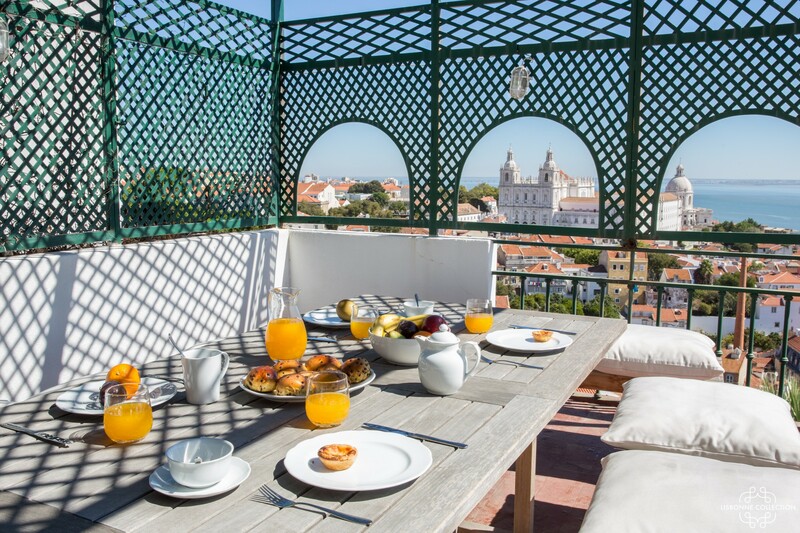 If you're looking to make every minute of your stay is Lisbon the best, this is the place for you. Stay here! Don't hesitate to book! The apartment is fantastic and the 360 degree views are priceless! The apartment is located within the walls of the castle so there is always an abundance of taxis nearby. The taxis in Lisbon are super affordable and fast to take to up and down the hills. The neighborhood is quiet and inhabited by locals. 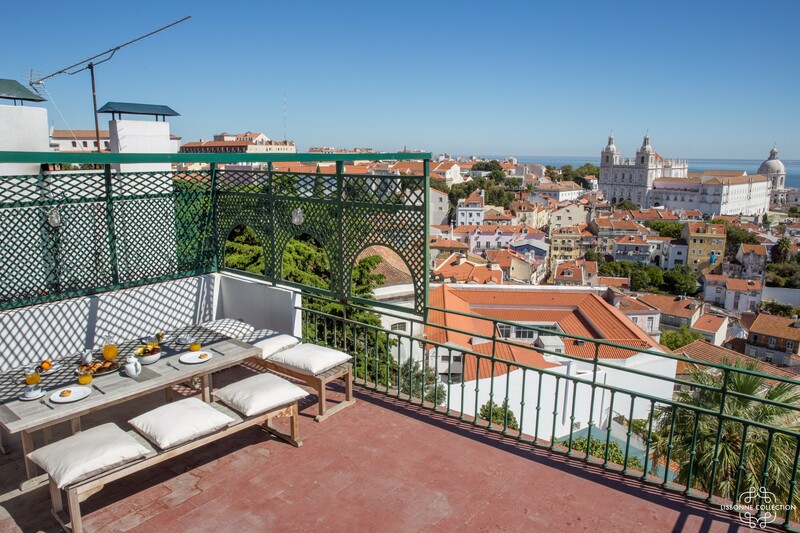 (Be sure to grab a shot of Gingha from the man across the street for 1€) We made sure to open the panoramic windows and just soak in the views, listen to the sounds, and feel the breezes of Lisbon! The beds are comfy and the AC works even though we didn't need it during our trip. It's the best apartment we've stayed at in Europe! This is a really lovely apartment in a good location right near the Castello. It's a bit tricky getting into the narrow street and parking is at a premium but we found one nearby and from then on used taxistramswalked. The apartment has two good bedrooms and bathrooms on the lower level and a lovely living area/ kitchen on the upper level. All ammenities provided including dishwasher and washing machine, iron etc. Good internet ( although we managed to stuff it up by disconnecting the power to the router and modem in the downstairs bedroom) plus full cable TV with International Channels. We had to call the Manager to come and reconnect and reboot the system One improvement to be made is the provision of a Manual explaining allpliances etc. Apparently this is being worked on but not available yet. We stayed in this beautiful apartment for four nights with our friends and loved it! We were met by Daniel who showed us how everything works in the apartment including the color coded keys :) I was impressed with the views of the river from one side of the apartment and the castle on the other. You can hear the bells from the cathedral! It is an easy walk from the apartment to get around Lisbon but we often used the elevator near Zambezi restaurant to save a few stairs. The apartment was spacious and there is a market close by to pick up a few things (hours were a bit inconsistent) but there is a larger market at the bottom of the elevator. The evenings and mornings were quiet and peaceful. We would rent this apartment again!!! Please note this is considered a self-catering apartment so we were expected to buy toilet paper, garbage bags and laundry soap after using the limited supply that was in the apartment. It would be nice if the apartment had a book with flyers/suggestions for restaurants and things to do. Did I mention the views??? Gorgeous!! !